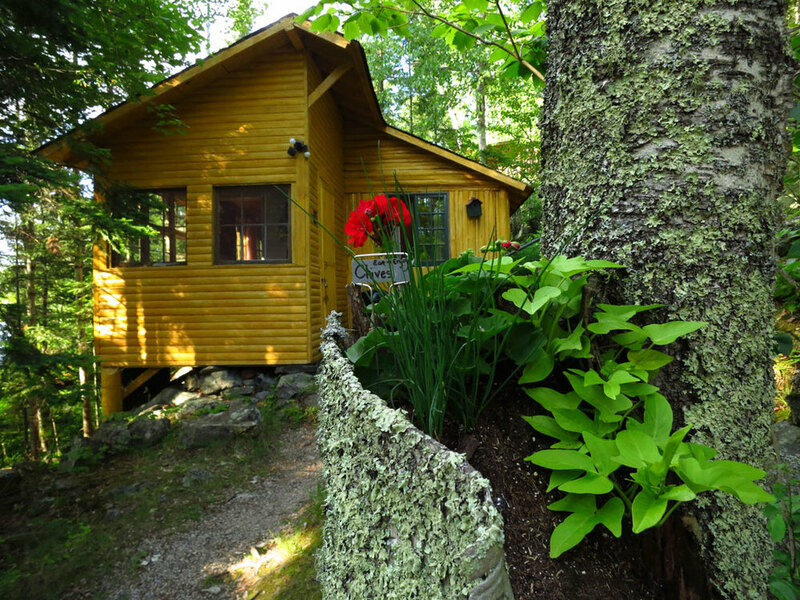 This is a one-bedroomjunior-suite cabin that was originally constructed in the late teens of vertical log construction. It is situated at the base of a hill and offers woodland views with the lake in the distance, 145' away. 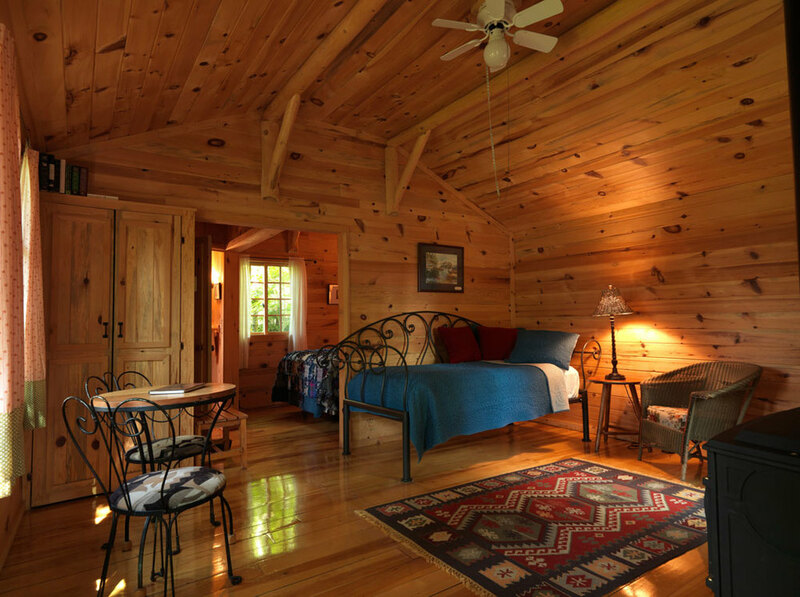 You first enter into a porch which opens to a generous room with a single, day bed and sitting area. A wonderful heater gives the look and ambiance of a fireplace but all you have to do is set the thermostat. A privacy wall separates the next room with a queen bed. The bathroom has a shower. 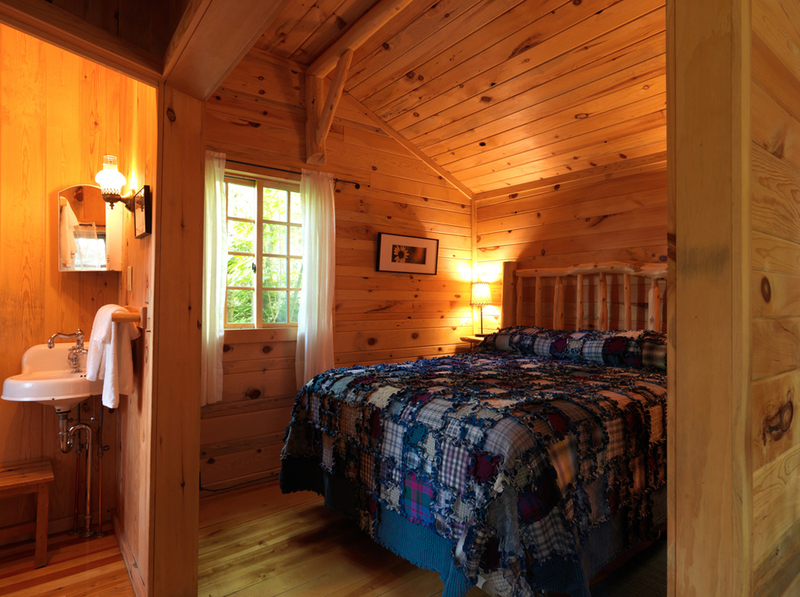 The interior is of tongue and groove knotty pine walls and refinished birch floors. A small refrigerator, coffeemaker and microwave are also included. A charcoal barbecue is available outside the cabin. Maximum capacity is three guests. The 2019 rate is $ 240.00 per day, or $ 1 530.00 per week.